At some point in our work life, we believe we know our strengths and weaknesses. 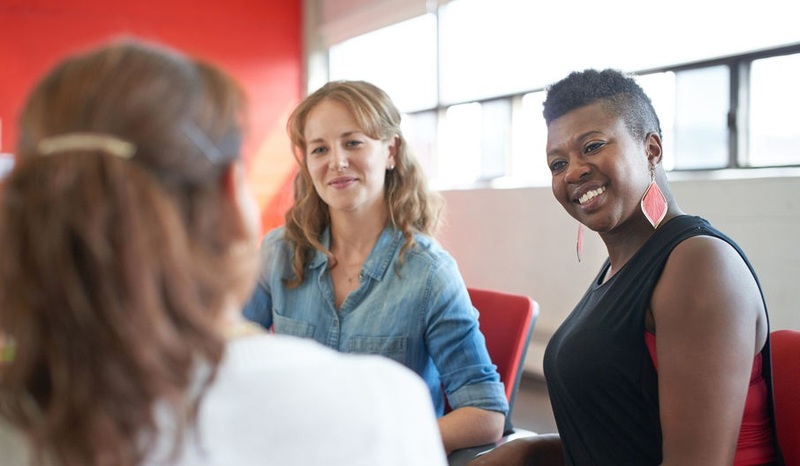 But do we really understand ourselves from an objective point of view and in a way that we can communicate our qualities effectively to our business associates? I’ve been interested in assessments since I graduated from college and took Myers-Briggs in my first job. Through the years I’ve been both the beneficiary and victim of numerous assessments. Some I’ve really enjoyed, and some not. I felt like I’d looked at just about everything out there, and then earlier this year I found what I was looking for. BestWork Data is a compelling system that combines a personal traits element along with a cognitive processing section. One part of BestWork DATA measures 6 core personality traits that tend to remain stable over time. These are based upon the Big Five personality model, which is universally regarded as the standard among leading instruments. Each has been found to be directly related to job performance across a wide range of jobs. The cognitive processing section is timed and measures how people process information. The BestWork Data Assessment takes less than 30 minutes. The personality traits section is simple. I both loved and loathed the cognitive processing section, because it is challenging. You have 15 minutes to answer 60 questions. Most people do not get to answer all 60 questions, so I took that as a personal challenge. Some of the problems took me back to SATs and GREs, but with much less pressure! 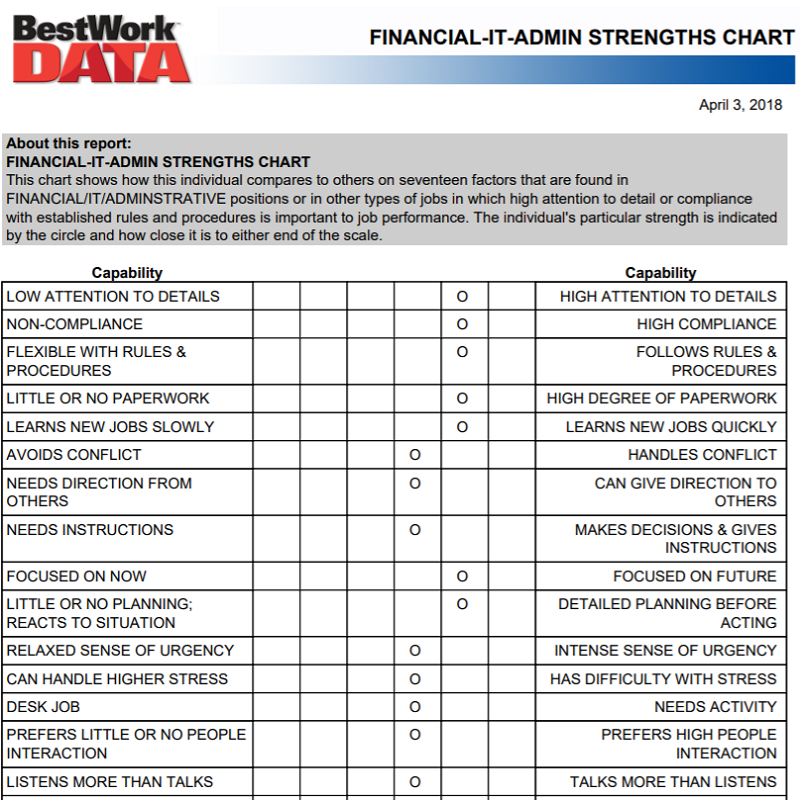 We offer the BestWork Data assessment, 10 of these reports and a strengths review session for $150.